But no—they’re real, and they’re wearing them—at least the two people in the photo snapped by our own Van Allen Plexico who’s at the game. 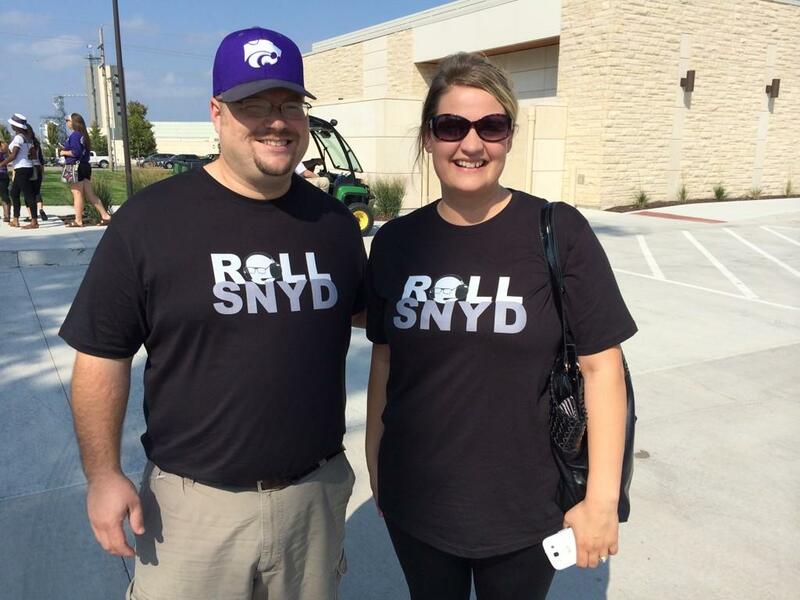 Because their coach is named Bill Snyder. And the first syllable of “Snyder” rhymes with “Tide”—as in the Crimson Tide, a team Auburn beat in their last meeting in the most unbelievable fashion you will ever see. The most believable fashion you will ever see. Related: The Auburn Ball Boy now has his own shirt. 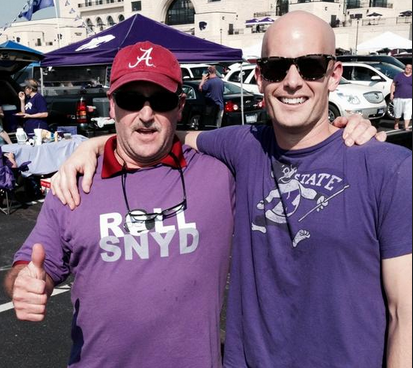 …and then they go out and miss three field goals and lose by six points to Auburn. Ironic.